My organization is putting on a large paid event in six months. We just started taking $100 reservations by credit card - we get $97 and the credit card processor gets $3. 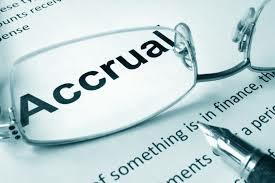 I use the accrual method to keep one set of books that includes the event and the entire organization. Should I categorize the prepaid reservations as income now, or should I track them in a prepaid reservations liability account now and move them over to income on the day of the event? The credit card companies take their 3% discount now, so it seems I should recognize that expense now. The problem is that the liability account will still show the gross revenue at $100 per person, which is misleading to the people planning the event. I'd like to be able to show the event planners how much money they have to spend without having to manually subtract the income statement event expenses from the balance sheet event liability. Is that possible? What do you recommend? On October 1, your calendar year company, which is on the accrual basis, signs a $15,000 painting contract and makes a $5,000 advance, which you record in Painting Expense. If, on December 31, management tells you that 20% of the work has been completed, do you debit or credit the painting expense by $2,000? As 20% of $15,000 is $3,000 and painting expense was already debited $5,000, you would credit the painting expense by $2,000 in order to get to the actual $3,000 expense. I am really stuck and need some help. The bank loan interest rates are 8% per year. I am stuck with my journal entries and general journal and general ledger for the interest expense and what happens in the balance sheet. The Bank loan and interest started on the 1 of June and the period ending I am doing the work for is the 30th of June for the same year. The interest expense for the year rounded works out to be 2130. And the monthly payment 178. In the my balance sheet do I include the whole amount for the year under current liabilities minus the first month that it being payed?? And my journal entries for interest expense, interest payable and cash at bank I cant seem to get them to add up. For the ledger and general journal can you please help? True or False, with accrued expenses, cash payment follows recording the expense? My Payroll date is the 1st. The payroll company submitted this to the bank on the 30th, therefore showing on bank statement of previous month (Nov) Do I credit cash 10000 - debit accrued payroll in Nov? Reverse for December? My local church charges wedding couples for the use of the bells and this is shown as an income for weddings in the accounts. This sum is to be accumulated with similar sums ready for future expenditure on maintenance of the bells. What are the entries necessary for this to be shown correctly and how should the actual expenditure be shown when it occurs so as to reduce the accumulated amount and also show as an expenditure? After reviewing my companys' past payroll journals I have found all accrued vacation is being expensed at the time it is accrued. I have always used a payroll clearing account at time of accrual then expensed when the vacation is paid out. Which is the correct method? I use a payroll clearing account for the accrual and expense the vacation when it is paid out. I believe this is typical of a cash basis transaction. Does anyone out there use a different method?